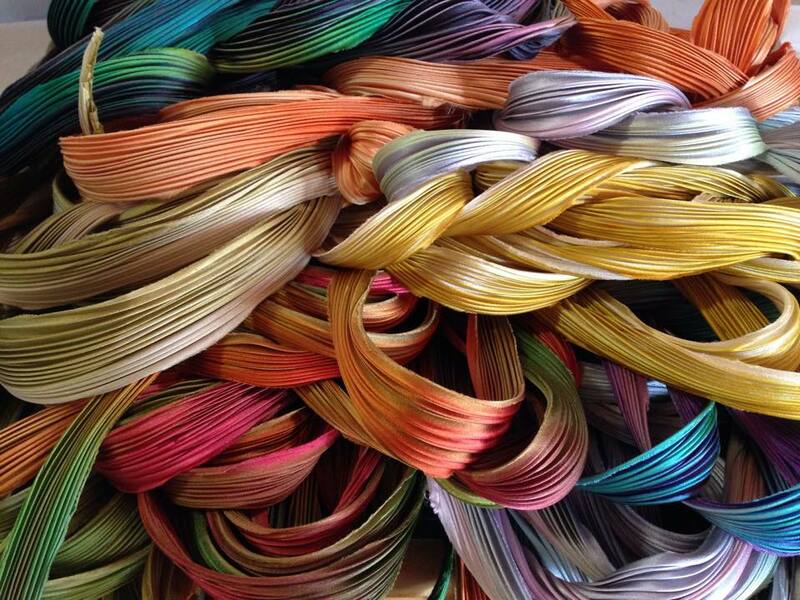 Dyed silks from Shibori Girl Studios. 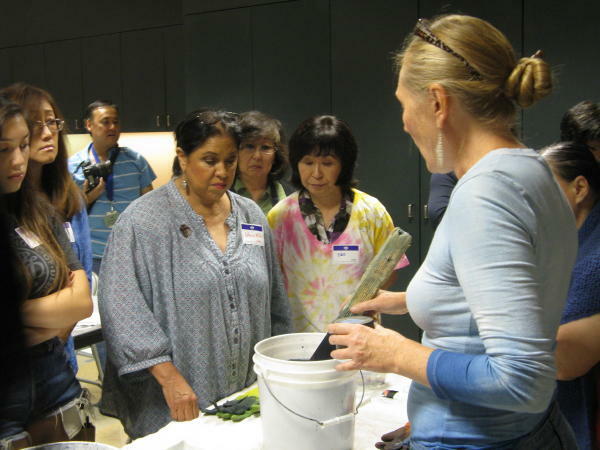 Among the more popular craft activities offered at JANM are the shibori (resist cloth dyeing) workshops led by Glennis Dolce, better known as Shibori Girl. In September, Dolce led a two-day mandala design class, and this weekend, she is leading a sold-out Hello Kitty–themed workshop that takes its inspiration from Sanrio’s origins as a silk manufacturer. A classic indigo “spider web” shibori pattern. Photo by naukhel via Flickr. Shibori most likely came to Japan from China at least 1,300 year ago. It began as a humble craft used by the poor to decorate and rehabilitate inexpensive fabrics. As various forms of shibori evolved, it became both a popular folk art and a means of producing elite silk kimonos for the aristocracy. In the 17th century, the village of Arimatsu emerged as a leading shibori specialist, and it continues to be a center for the art form today. 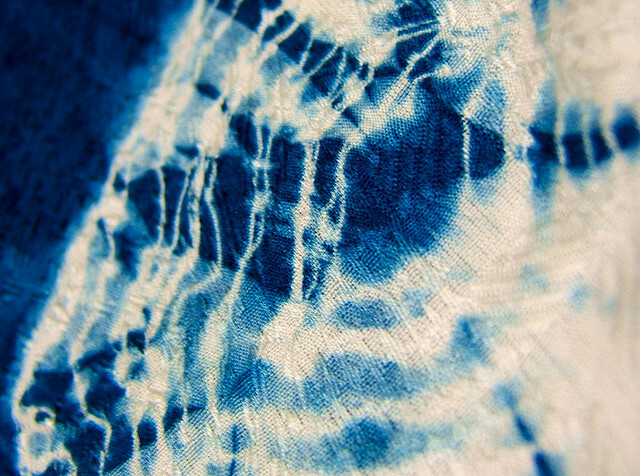 Over the centuries, industrialization and shifting global trends have threatened shibori with extinction. However, in the early 1980s, interest in the craft was revived by contemporary practitioners, who applied modern materials and techniques to expand and continue the art form. Today, shibori workshops are popular events, and a variety of creative shibori products can be seen in shops and boutiques everywhere. There is even a World Shibori Network. Glennis Dolce leading a shibori class at JANM. Upcoming Shibori Girl events at JANM include a two-day Shibori Fusion workshop in January and a reprise of the Hello Kitty workshop in March. Stay tuned to janm.org for more details, and be sure to get your tickets early, as these events tend to fill up quickly!